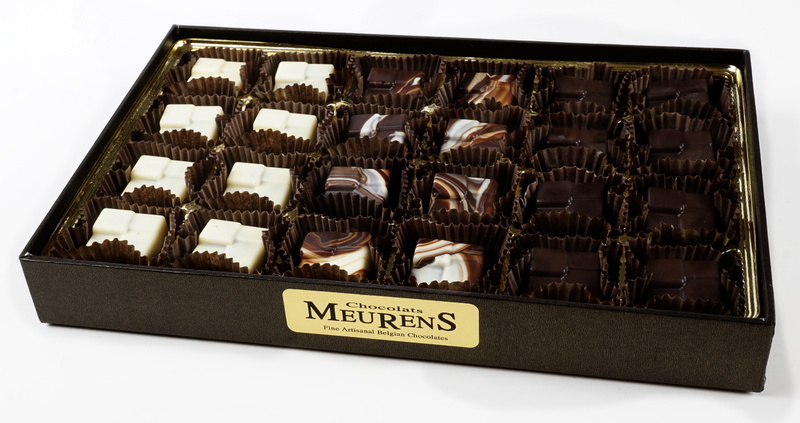 Our Collection has many varieties or chocolate bars and many sizes of boxes available for pralines assortments. 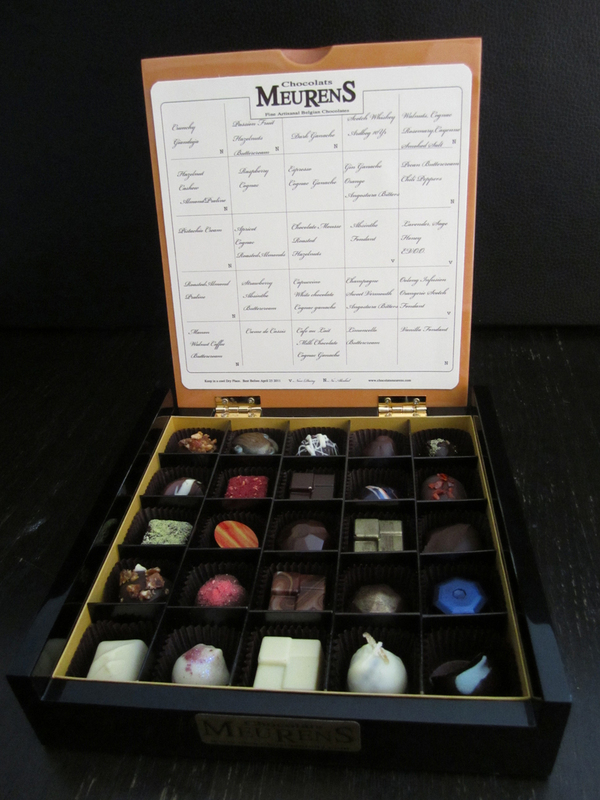 Handmade at the Gourmet Guild of Williamsburg, everything made to order and can be entirely customized, from the flavor and filling to the label and box color, size, and material. A handwritten note may of course be added for your loved one. See our Assortment Collection. You're welcome to add a note which we add handwritten to your gift. Other sizes boxes may also be available. 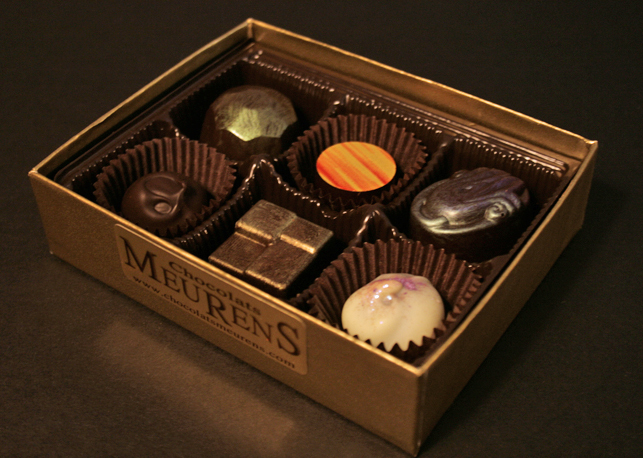 Born and raised in Liege, Belgium, your chocolatier was surrounded by chocolate houses and confectioners. 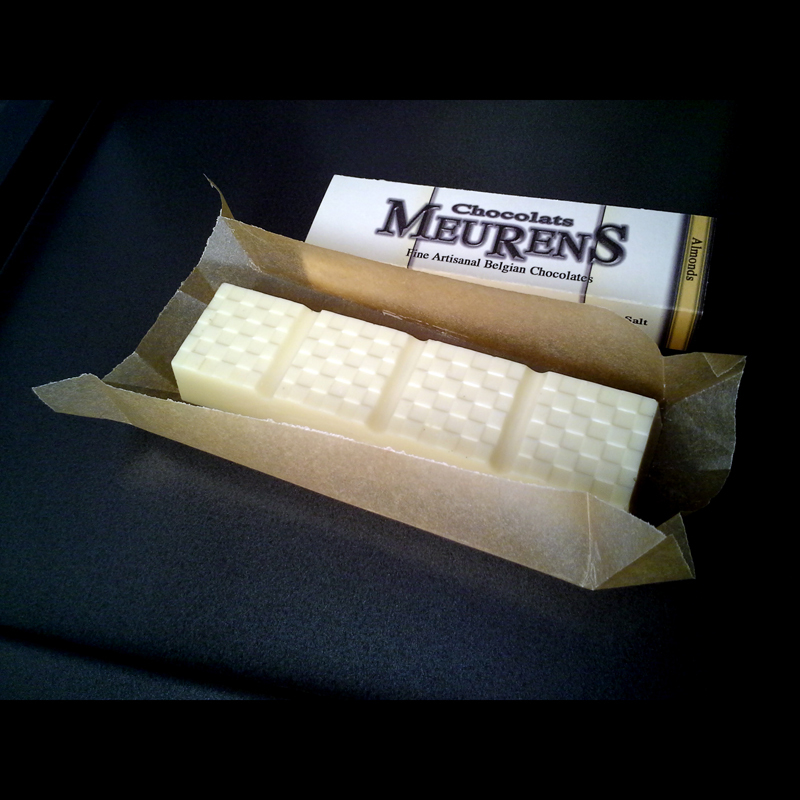 Driven by the search of this flavor, this heritage of unique delicate luscious sensual long-lasting tender and wild nuttiness, the Chocolats Meurens are handmade in New York City with the best of belgian traditions: truffles and pralines. 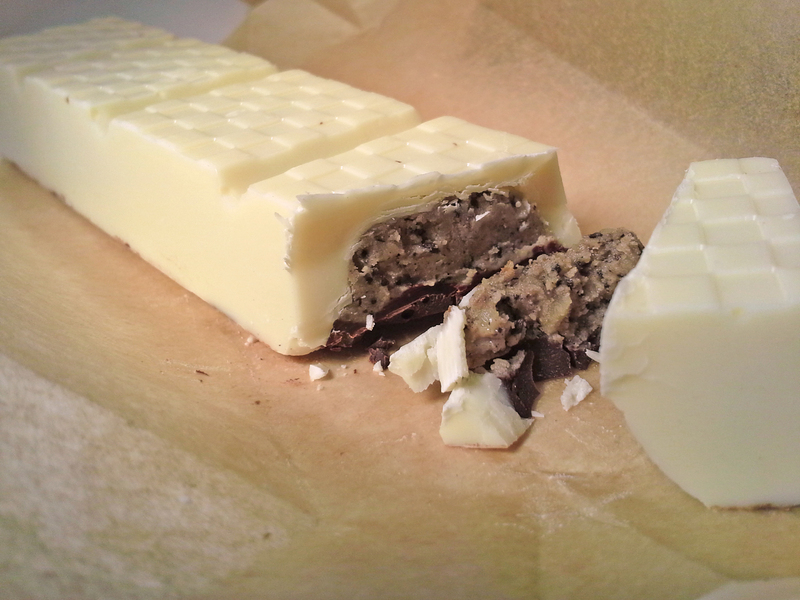 Not only dark chocolate, but also milk which can be very intense, and white that can be so fresh it tastes like ice cream. Sweet, filled with real things: nuts, fruits, creams, caramel. Not industrial, this is personal. Made in Brooklyn, by a musician who came to New York with a saxophone, some clothes and a few pounds of chocolates which all melted on the way from the airport. It was the middle of August, 51째F/11째c in Belgium and 99째F/37째c in New York. 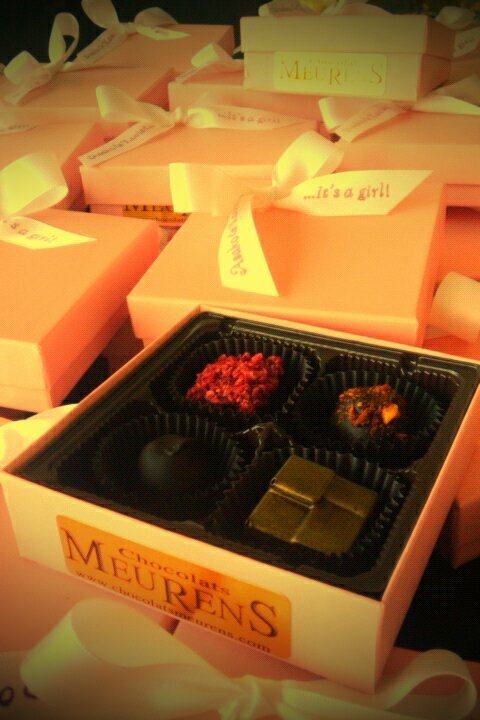 4pc box for a baby shower. With Absinthe, Ardbeg Scotch, Raspberry, and Hazelnuts. 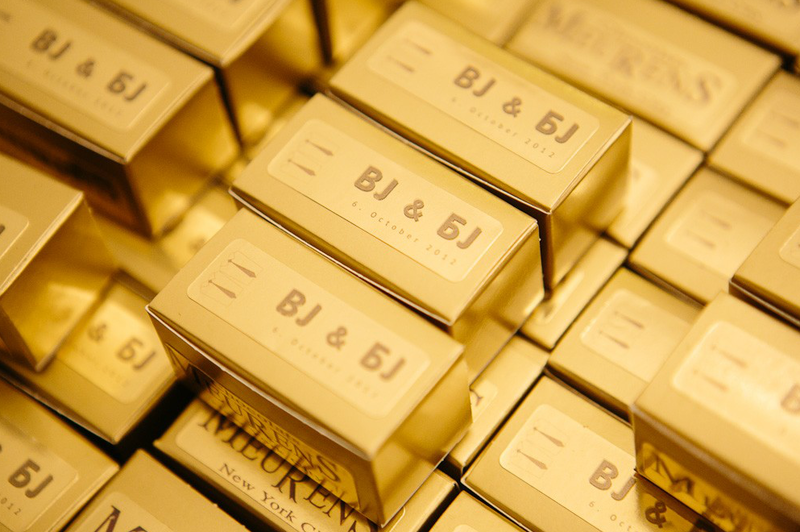 This 2pc gold favor box made for a happy wedding. 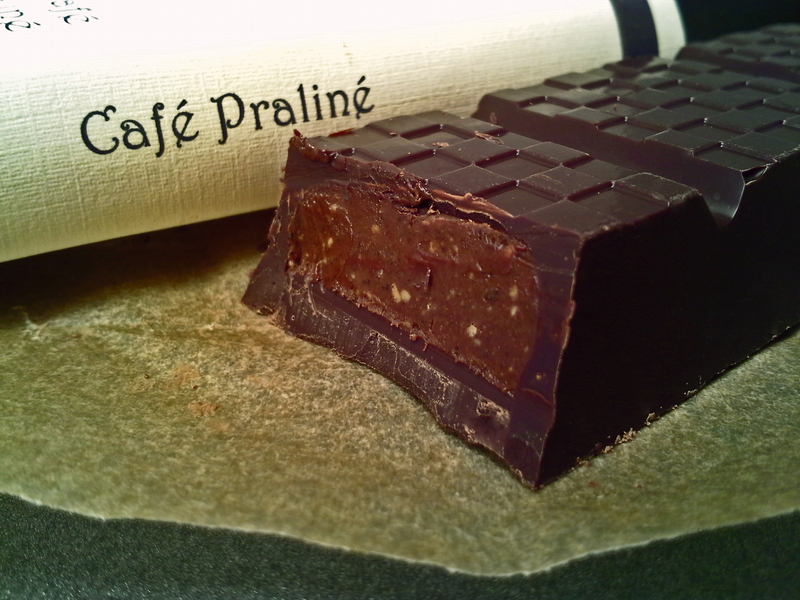 with a praliné coffee Cognac. Email Us for custom orders, or any inquiries. Now how Belgian is that?